The eviction process is straightforward in most states. It consists of just a few steps that can be distilled down even further. Many States do it differently, but overall the process is the same. 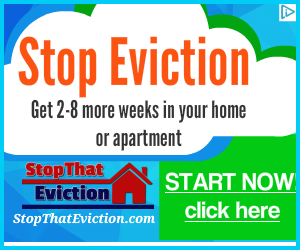 Lets touch upon the eviction process so that you can stop your eviction now. First step is the tenant causes a breach in the rental agreement. If there is no breach in the agreement, the landlord usually doesn’t legally have the right to push out a tenant.What are some of the most common reasons for the breach? They are: non-payment of rent (or mortgage), smoking in unit, pets in unit, loud parties, drugs in unit, or extra occupant in unit (a live-in boyfriend or girlfriend). There are many others. See your rental agreement. That is where it would be spelled out. This is normally called the 3 day notice, 5 day notice, 10 day notice, etc… It is a notice to the tenant to fix the problem or risk an eviction lawsuit. If this is for non-payment of rent, which is the most common, the monies would need to be paid to the landlord by the end of the notice period. Which is usually not possible, since these notice periods are generally shorter than one pay period at a job. Don’t fret yet. 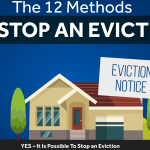 There are more steps… However, during the early stages of this eviction is when to take massive action to stop eviction. The less options are open to you the longer you wait. The court eviction notice comes next. This is when the landlord has filed an eviction lawsuit at the local county court against the tenant.It did cost money for them to do this. And if the landlord used a lawyer, it would even cost the landlord more. Most professional property managers will do this initial filing themselves. But small property managers would most likely use a lawyer. The lawsuit is called different names in different States. But, it doesn’t matter. The suit is almost always filed at the local county court. There are some counties that do so many evictions that there are express rules that make the eviction matter even go faster with less paperwork. That is not a good thing for a tenant, usually. Some counties at this point in the process have a split in the way they do things.About 50% of the States will setup a court date and have a judge hear the case. Other States will go right to having the Sheriff do the eviction. In different States the Sheriff is named Constable or Marshall. It doesn’t matter, they are simply different names for the head office at the county level police force. In a court hearing, both sides come to the court at the prescribed time and date and present their evidence for their side. Note: there are lots of ways to slow this down to be more advantageous for the tenant.In a Sheriff eviction, the Sheriff will give a 1-3 day notice on your door. 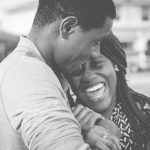 If the tenant loses, the Writ of Possession will revert the rental unit back to the landlord’s possession.Note all States have a separate paperwork process for the Writ of Possession. Sometimes, it is implied into the Judgment of Eviction that the landlord was granted at the hearing. This short step is skipped in several States. Once the Writ of Possession is given to the landlord, the last step is the Sheriff eviction. This is the last step in the eviction process. On the prescribed day and time, the County Sheriff will show up at the tenant’s door and knock to come in. If not invited, the door is forced.At this point the Sheriff will protect the landlord as he changes the locks to the rental unit. Then sometimes the landlord will be very nice and hire “some muscle” to put the tenant’s personal property out on the street, curb or trailer. But, much of the time, the locks are changed and the property remains in the rental unit. This gets sticky trying to get the landlord to let you back in to retrieve the property. Every State has specific laws about the items that can be taken out and this time period of allowing the tenant to collect some property. However, in many States, much of the property in the rental unit just became the landlord’s property. The “lockout” is when the Sheriff has helped the landlord to change the locks. Not only have the tenants lost a place to live (shelter), they have also lost much of their property (stuff). Don’t let this be you. Don’t allow this to happen to your family. Make sure this doesn’t happen by taking action. Make a main plan. Also an additional backup plan. That way if the main plan to fix the eviction situation fails, your family will still be OK using the backup plan. Does that make sense? The main plan should include slowing down or stopping the eviction. The backup plan should include what your family will do if the eviction actually happens.